Was there the loss of an eye? Not only does the required content of the report seem to be more substantial than what is called for during telephone reporting, the mere fact that the report is being made in a written format at all should give employers serious pause. Providing a detailed explanation about an incident that has just occurred only a short time earlier, for which a thorough investigation could not yet have been completed, is a risky endeavor. Memorializing these very preliminary conclusions in writing as the employer’s first official statement of the event, makes it even riskier. 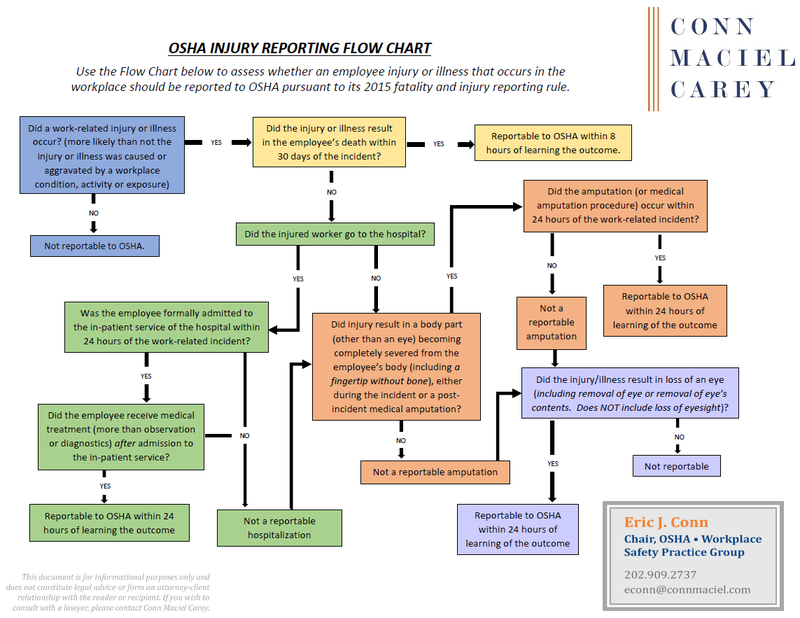 It is important to understand that anything employers provide in writing to OSHA can later be used against them as an admission in an OSHA enforcement proceeding arising out of the incident. Likewise, these written statements will be subject to Freedom of Information Act (FOIA) requests by plaintiffs’ attorneys, who can use the written statements as admissions in personal injury, wrongful death or property damage civil actions. Other third parties, like the media, union organizers, or your competitors, may also access the written submissions by FOIA requests, and use them in a variety of ways to harm the company. 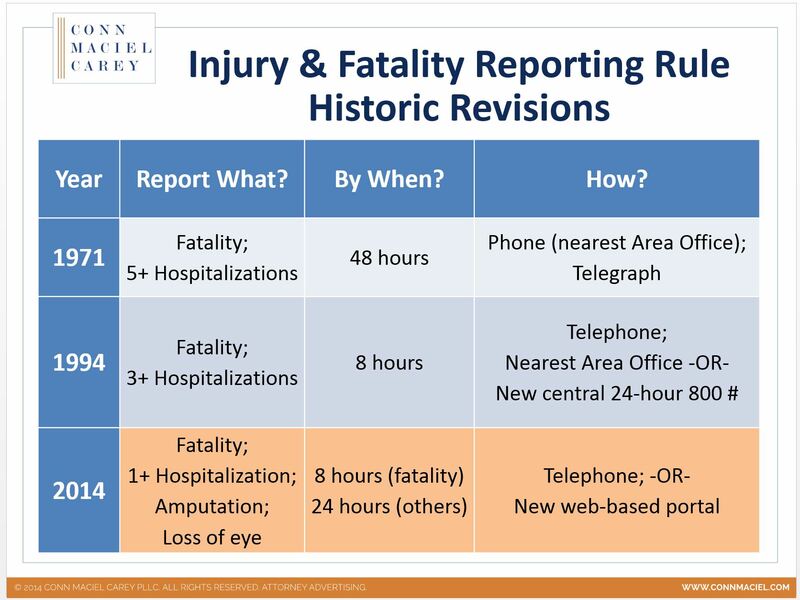 Accordingly, the old-fashioned telephone call should remain the preferred method of reporting injuries and fatalities, even with OSHA’s new-fangled technology.